Coinciding with the 40th anniversary of Manjaz, the COSC-certified chronograph reference 7212 joins the Engineer Series in a limited edition of 288. As its name suggests, the watches in the collection reflect the qualities conveyed by the Latin noun ingenium: productivity, creativity and the capacity to transform and exceed a given situation. The 12-hour and 30-minute chrono counters and small seconds are positioned at 6, 12 and 9 o'clock. Day and date apertures at 3 o'clock complete the array of indications while a tachymeter scale circles the inner bezel ring. The pink-gold plated bezel introduces a precious accent, echoed by the screw-down plate on the side of the case at 9 o'clock which carries the Manjaz logo. 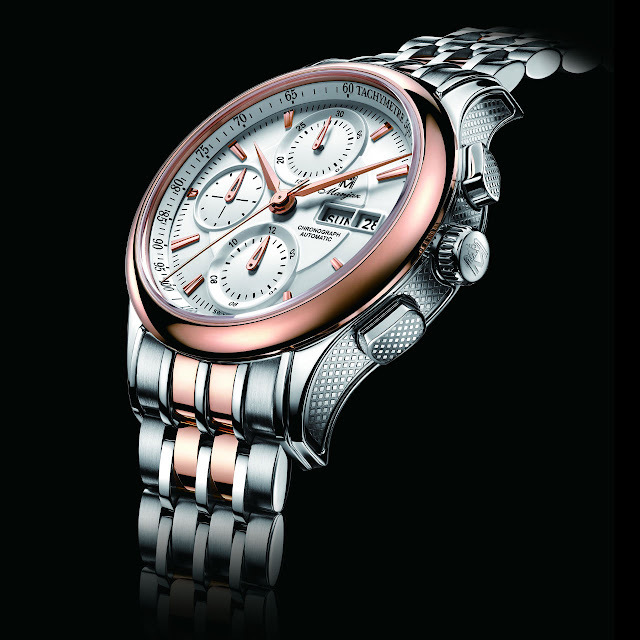 This chronograph convinces with a carefully studied design that is classic yet assertive, and above all functional.